Google is well known for its shenanigans and easter eggs when it comes to search, just try a Google search for “askew” to see them in action. So when Google Now on Android gets a cool new voice activated feature, I wonder if it is an easter egg or a full blown feature. 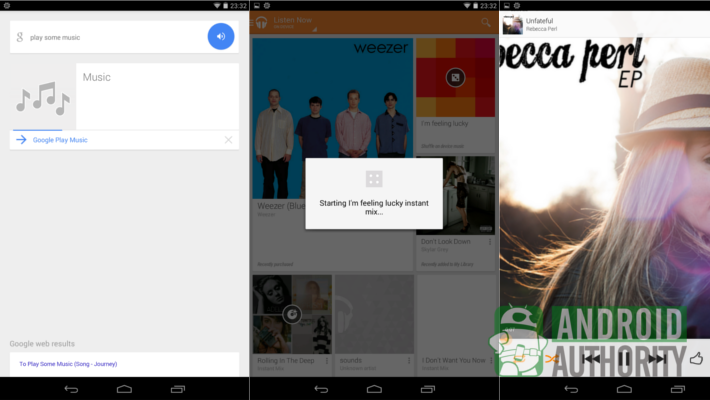 This time around, try following up “Okay, Google” with “play some music” and you’ll get an “I’m feeling lucky” radio station fired up in the Google Play Music app. The “I’m feeling lucky” radio station pertains to All Access users, but don’t worry if you do not subscribe to All Access, it will instead fire up an “I’m feeling lucky” instant mix out of your music. Assuming you’ve taken the time to upload your tunes to Google’s Play Music cloud storage, and have the latest Google Play Music app installed, of course. To take advantage of this cool feature, in addition to the Play Music app, you’ll need to be running Android 4.1 or higher and have the latest Google Search app installed. If you do not know what I’m talking about, simply swipe up from the Home button on your device, if the Google Now search tool pops up, you are on the right track. 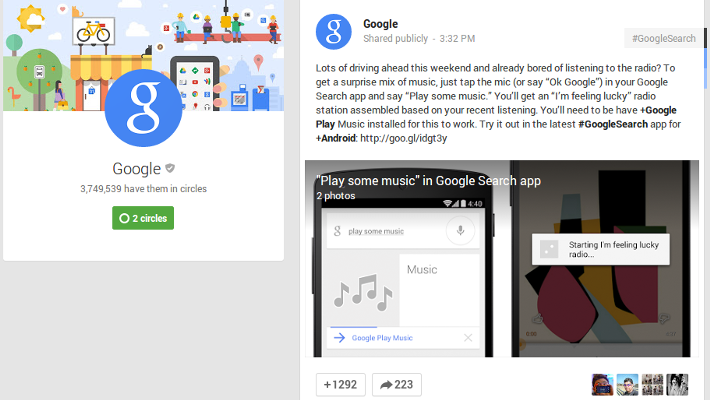 Google is promoting this functionality as an easy way to find and experience new music. All Access subscribers benefit the most as they get to experience new music from Google’s entire library. But it also works great for non-subscribers that have uploaded a large personal library. With the 20,000 song limit, many have more music in their library than can typically recall. “I’m feeling lucky” helps you re-experience your own library, often throwing in an artist or song that you have not heard in a while. What has been your experience with Play Music’s “I’m feeling lucky” radio station or instant mix – have you found a new favorite song/artist, or do you find yourself wondering what went wrong and returning to your trusty old playlists?